As long as anyone can remember, there has been the Silo. A lone oasis in a toxic, uninhabitable wasteland, the silo contains everything its inhabitants could possibly need, from hydroponically grown food to vast generators that provide electricity to the levels drilled deep into the earth. It’s treason to even think about the world outside. The punishment is getting to find out firsthand exactly what Outside is like — and die there. But some do wonder. Sheriff Holston’s wife ventured Outside three years ago, leaving behind a cryptic message about conspiracies and uprisings. When her heartbroken husband joins her soon after, it leaves a jagged hole in the fabric of power. Enter Juliette, the fierce young mechanic recruited to replace Sheriff Holston. Juliette has made her home in the deepest levels of the silo among the throbbing engines that keep it alive, and she has no interest in its upper floors, much less its exterior. But when she too stumbles into the enigma behind her predecessor’s disappearance, it sparks a chain reaction that will propel her Outside and onto an unimaginable path that will change the fate of everyone in the silo … and possibly even beyond. It’s difficult to describe too much about the plot of this gripping dystopian novel without hinting at conceptual and narrative surprises that are more satisfyingly encountered organically. This is certainly a layered world both literally and figuratively. But even in the most extreme of circumstances, the characters and their actions, good and bad, remain recognizably and intrinsically human. 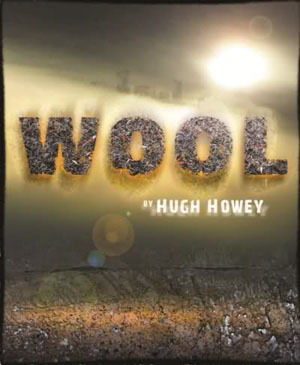 “Wool” is a self-published sensation that became an ebook bestseller and is now available in print for the first time, a welcome expansion of the audience for this engaging and powerful story.